Musician Jelly Cleaver discusses her path to songwriting and her experiences at Durham with our arts editor Victoria Tann​. 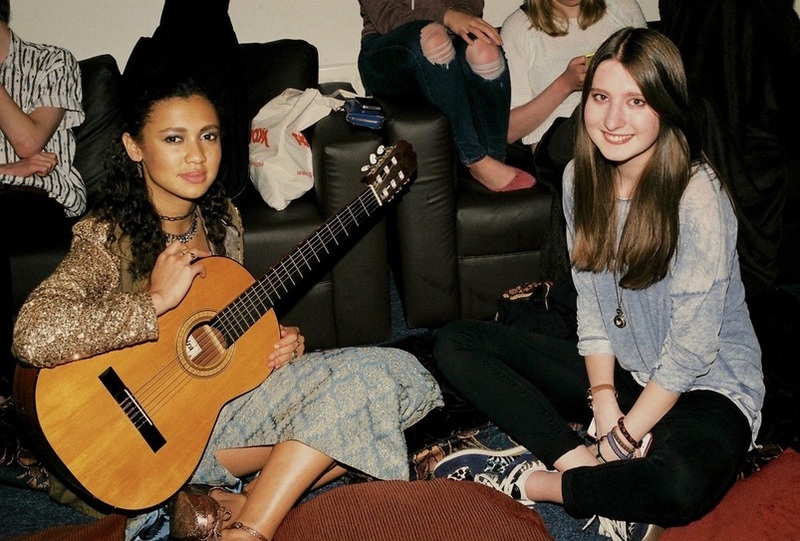 Huddled in an inconspicuous and fairy-lit basement on Hawthorn Terrace, I find myself delving into a rabbit hole of musical conversation with singer-songwriter Jelly Cleaver before she takes to the stage. Describing herself as a cross between “a folk singer and jazz guitarist”, it’s difficult not be in awe of the effortless style and demeanour of Jelly. Totally relaxed in the wake of her oncoming performance, it is clear that she belongs in the atmospheric zen of Thorn’s pilot Secret Gig. Naturally, conversation begins with the well-travelled acoustic guitar casually propped on Jelly's lap. As she talks of her dad’s influence on her as a guitar teacher, it quickly becomes apparent that Jelly’s staple instrument was not only the clear choice for a singer songwriter, but a natural generational influence. “I started playing as soon as I could hold it and never stopped,” she laughs. “It's so easy to learn nowadays.” From making use of free YouTube videos to just playing around with the strings, Jelly stresses the accessibility of instrumental skills outside the realm of family influence or what is often viewed as an elite community. ​Delving further into Jelly’s family life and childhood, I sense that while admitting their influence on the development of her unique and innovative style, she is still keen to be viewed as an independent and self-made musician. Revealing that “mum was a dancer as well,” Jelly describes her childhood exposure to music as an “odd mixture” of jazz guitar combined with the classical likes of Tchaikovsky. 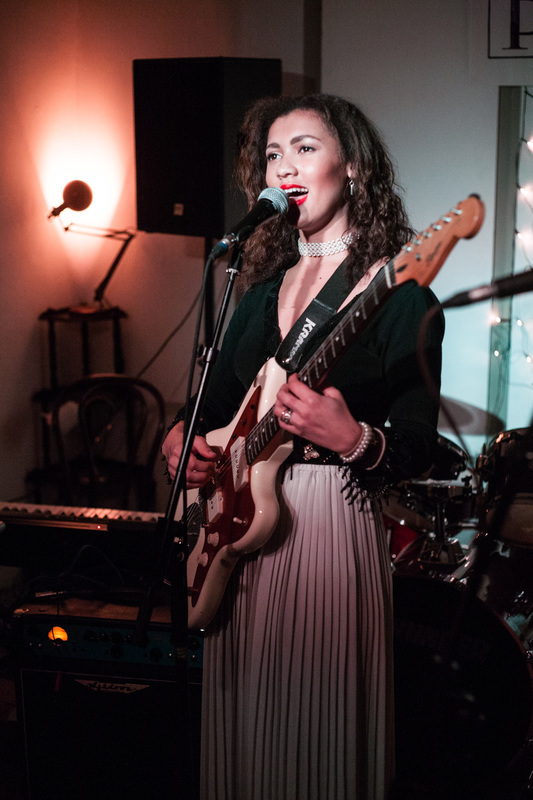 Jelly recognises the importance of her family's musical fluency, admitting that music “drifted into my DNA as a kid.” However, as she jokingly describes her dad as “lazy”—only ever giving her three formal guitar lessons—it becomes clear that Jelly is a largely self-taught and independent talent. “Some of the music I like is based on the fact that my dad dislikes it,” she laughs, careful to distinguish herself as her own musician with her own tastes. Surrounded by these eclectic home influences, it hardly seems surprising that Jelly’s own music encompasses “all kinds of styles.” Referred to by her close friends as a cross between Jeff Buckley and Beyoncé, Jelly sees her diversity of tastes and styles as an asset. As we discuss her writing process, she is keen to emphasize the spontaneity of her style, explaining that her own music is inspired by “anything and everything that I like.” “American Jazz, Marley, World Music,” and so on, Jelly’s influences are spread wide, an aspect that has clearly developed her not only into a unique artist, but a well-versed and open-minded musician. From being described as ‘folk’- to ‘jazz’-based, Jelly declares “I’ll take all of those things,” keen to remain versatile both as a musician and a songwriter. Check out more of Jelly's music on Soundcloud and like her Facebook page for updates on live shows.